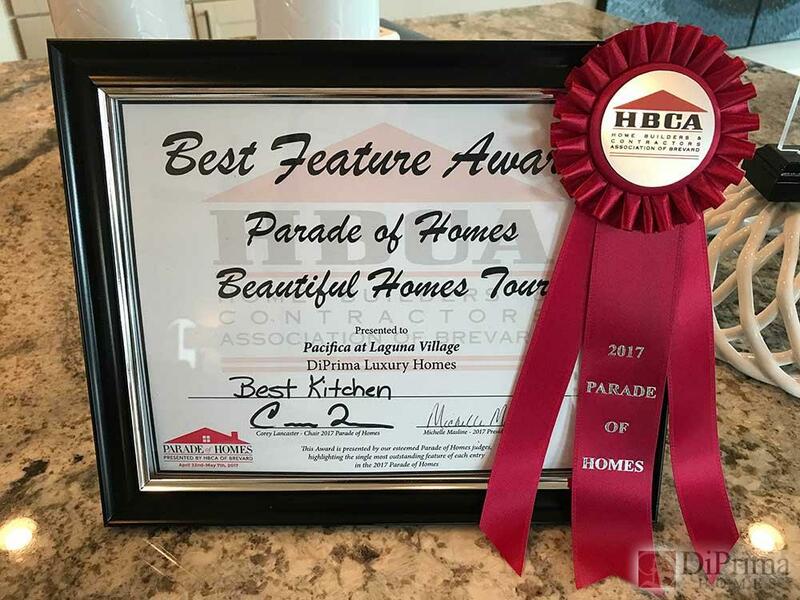 For over 30 years, residents of Brevard County have enjoyed touring some of the area’s finest new and remodeled homes during HBCA’s Parade of Homes. This spring DiPrima will be showcasing our newest models at Laguna Village. DiPrima received two awards at the Parade of Homes 2017! Since 1961, DiPrima Custom Homes has been first when it comes to purchasing a luxurious home at an affordable price. When you choose DiPrima as your home builders in Brevard County, Florida, first rate is what you will get. It’s all in our name! DiPrima, when translated to English, simply means “first.” For 56 years, we have been Brevard County home builders and have done so with superiority and reliability. We can help make your dream home a reality. Each of our award-winning models is designed with your particular lifestyle in mind. Whether you’re just starting out, enjoying your retirement, or somewhere in between, we invite you to experience the DiPrima difference on your homesite or one of ours.